Satsang is association of people who are searching for spiritual truth. 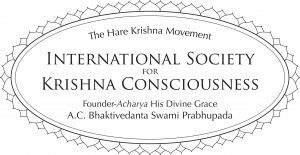 In addition to offering satsang at the Alachua Hare Krishna temple we can plan a program for you to be held in your home. Invite your friends and colleagues for an evening of kirtan, Bhagavad Gita discussion, japa chanting and prasadam. Through reading and discussing Srila Prabhupada’s books with time for questions and answers, participating in kirtan and enjoying delicious prasadam together, the whole evening is spiritually enlivening for everyone. Participating in Satsang Programs motivates participants to cultivate spiritual growth and new devotional habits and increase their natural love for Krishna, which manifests itself in increased happiness and peacefulness. Contact Sakshigopal dasa at 352-222-1440 or contact Temple Office at 386-462-2017 or alachuatemple@gmail.com to learn more and arrange a program in your home.